We’re very passionate about the environment and our process so we try our hardest to take your life easier and our environment safer. We listen to every question you ask and give the most honest answer we can. 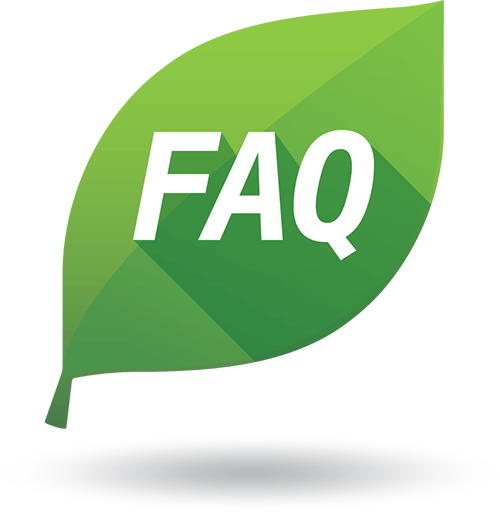 Many of the questions you ask are worth sharing with everybody else so we’ve tried to compile a list of the questions asked and the most relevant answer we can find to make your research and education quick and simple. We can’t possibly have answered all your questions yet so if you don’t see a question below that you think should be here, you can always Ask our Experts and they’ll get right back to you. If we feel it’s a great question worth sharing with everybody, we’ll also make sure it’s added to the list below. Happy reading! How can I extend the life of my HVAC system? Regular chemical free cleaning will help extend the life of your equipment and increase the air quality of your facility. Change your filters on a regular basis. Clean your coils and AHU’s on a regular maintenance schedule. Any resistance inside your AHU’s will force the rest of the equipment to run longer and harder and reduce its life expectancy. Green Air EnvironmentalTM can analyse your equipment and environment and help you setup a custom schedule from realistic data. Every facility is different. Different pollutants and contaminants can be found in facilities’ AHU’s and coils, and some cause equipment to need more regular maintenance. Every facility is different due to the difference in the air circulated through Heating and AC systems. If you’re unsure of the quality of air being circulated in your facility, it’s best to change your filters at least once every quarter. Having your HVAC system filters changed on a regular basis can improve the efficiency of your equipment. But how do you determine when or how often should you change the filters? For some people, it is customary to change the filters at the beginning of a new season, especially during summers or winters as the system is going to be working more than usual. Others, tend to change it more frequently, say, once a month or once every two months or so just to be on the safe side. There are several factors that come into play for this purpose. These include the type of air filter that you have and its lifespan, the quality of air in and around the house, the number and types of pets at home, the number of members living in the home, location of the home, the usage of the system etc. All these factors lead to accumulation of dirt, dust and debris and the subsequent wear and tear of the filter. It is advisable to check the filters once every season or every month. What’s the best temperature for my office building? The best temperature for any office building should adhere to “thermal comfort”. This means that when the workers in the office wear normal clothing, they shouldn’t feel either too hot or too cold. This is essential for their well-being and productivity. There’s also a compliance code for optimal temperature at sedentary workplaces, which ask the temperatures to be set between 20 – 26 degree C; OSHA recommends that indoor temperatures be kept in the range of 68°-76°F (20°- 24°C) and humidity control in the range of 20%-60%. Why should we use steam cleaning for our coils? Pure steam cleaning is an eco-friendly process that will help you reduce your energy costs and improve your indoor air quality. Steam cleaning methods can result in energy savings of up to 30% while restoring your Air Handler Unit’s performance to within 3% of its design specifications. Using a medium-temperature, high pressure steam process, we are able to penetrate between 8-12 inches beneath coil surfaces. Chemical cleaning methods only penetrate 3 inches deep while introducing harmful chemicals into your HVAC system, and ultimately your indoor environment. Why shouldn’t we use chemicals to clean our coils? Chemicals are the old way to clean coils. Using chemicals has many adverse effects to your overall equipment cleanliness and longevity. When chemicals are used, most equipment will look clean from the outside, but the chemicals build up inside your coils and prevent adequate air flow. Chemicals that are used to clean coils include alkaline and acid based cleaners. These solvents work by inciting a chemical reaction on the coil surface. Over time, these acidic chemicals corrode coils, damaging them and negatively affecting your HVAC systems performance.Most chemicals will slowly degrade your equipment, eating away at the metals and permanently creating issues that cannot be rectified. Additionally, runoff water from chemical cleaners can enter your building’s groundwater system during the rinsing process, ultimately contaminating your local water supply system. Furthermore, these products may push the dirt, dust, debris deeper in the unit while apparently these clean the surface. When chemical foams and brings the dirt out of the coil, in most cases that same dirt is being pushed deeper into the coil.This in turn,reduces airflow, heat transfer and encourages fungal, bacterial and mold growth, defeating the whole purpose of cleaning the system. How often should I clean my Air Handler Unit coils? Every facility has different cleaning schedules that are driven by the environmental conditions and air cleanliness. Here’s an important tip to remember when creating a Preventative Maintenance (PM) schedule: Schedule cooling adjustments during the heating season, and heating adjustments during the cooling season. Not only will technicians have greater availability, but you can avoid HVAC failure during extreme seasonal conditions. Make it a point to get your Air Handler Unit coils cleaned annually, as part of a preventative maintenance schedule. However, you can increase or decrease the frequency depending upon – the age and the condition of your system, how much you use it, where the unit is located and so on and so forth. How do I know if my coils need cleaning? There are many ways to tell if your coils need cleaning, but the question is: When your coils were last cleaned? What is the differential pressure across your coils? Are your supply air temperatures creeping upward? Is there a stagnant, dirty sock, musty odor in your area? Are your VFD’s running at 100% all the time. Does your AHU make static set point? Are your cooling valves always 100% open? Are their microbial and bacterial growth inside your AHU? Why should we have a Preventative Maintenance (PM) Program? In the sweltering heat, would you rather choose to sit in a hot and humid environment instead of a cool and pleasant one? Probably not. That’s why it’s imperative you have a Preventative Maintenance schedule in place for your HVAC system. A PM schedule is important to avoid HVAC failure during extreme seasonal conditions. Damaged equipment, impediment of daily operations, and a decreased comfort level for building occupants can result from HVAC failure during peak seasonal conditions. A PM schedule will not only keep your equipment performing optimally, but ensure technicians have the availability to conduct routine maintenance. As a rule of thumb, your HVAC system requires 70-percent preventative maintenance and 30-percent corrective maintenance. In developing a PM schedule, you can opt for either a full-fledged maintenance coverage plan or a system-performance enhancement. It is dependent upon the age and the complexity of the equipment installed, its location, and use. With a fully functional system, you can be assured of getting enhanced productivity at the workplace. And while maintenance comes at a cost, it will never amount to the price of purchasing new equipment in the event of complete HVAC failure. Where does all the runoff or waste from the Green Air steam cleaning process go? The Green Air steam cleaning process uses absolutely no chemicals in any part of the process. Our process is so refined that we can clean your equipment better than any other method available while still being environmentally friendly and requiring no waste disposal. Are there energy and cost savings in chemical cleaning vs. steam cleaning? What is the impact of clean air on children in school? The U.S. Environmental Protection Agency (EPA) has always focused on improving indoor air quality in the nation’s schools stating that, “Poor indoor air quality can cause illness requiring absence from school, and can cause acute health symptoms that decrease performance while at school.” Meanwhile, the National Survey of Student Engagement estimates that K-12 children spend near 11,316 hours — 1.3 years — indoors during the K-12 educational period. During this time they are exposed to a number of air pollutants which can trigger asthma, inhibit respiratory functions, and result in poor cognitive function. Increasing indoor Air Quality (IAQ) eliminates allergens and air pollutants, increases lifespan, and fosters an active lifestyle. Does Green Air clean condensate pans? Will Green Air’s steam cleaning process cause any damage to our equipment? Is the Green Air steam cleaning process cost effective? When you HVAC system is not running in an efficient manner, it will cost you more in energy to operate that equipment. Our Green service will more than pay for itself in less than 8 months by greatly reducing costs associated with running your facility. This is done by reducing HVAC operational costs by increasing equipment operating efficiency. Additionally, our steam cleaning process reduces the energy consumption of your HVAC system and can even help you earn LEED [Leadership in Energy and Environmental Design] Certification points. What’s the best season to get your coils cleaned? Local seasonal weather conditions are a big determinant in creating a PM [Preventative Maintenance] schedule. As a rule of thumb, it’s best to schedule cooling adjustments during the heating season (December, January, February) and heating adjustments during the cooling season (June, July, August). Due to such mild seasonal conditions in the spring and fall, HVAC units aren’t typically ran for peak performance. However, when extreme seasonal conditions arrive the need to run AHUs optimally failure is more likely to occur due to neglecting maintenance. Therein, technicians have limited availability due to the influx of HVAC maintenance/repairs. How Can I avoid emergency cleaning during the summer’s heat? Developing a PM [Preventative Maintenance] schedule wherein you schedule cooling adjustments during the heating season, and heating adjustments during the cooling season. A PM schedule will not only keep your equipment performing optimally, but ensure technicians have the availability to conduct routine maintenance.